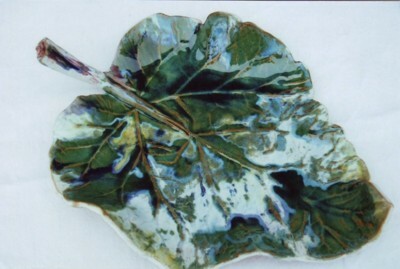 Handmade stoneware ceramics using our own glaze recipes formulated through extensive experience and research. All of our work is fired to over 1200°C. The leaves are developed from real leaves grown on our allotment. Copyright Kelbrook Pottery 2019©. All Rights Reserved.